It’s getting to be that time of year. You know, when it’s getting cooler, but you don’t want to turn on the heat. So, you put on another sweater, blanket, and some socks. But what about the hands? I have some Fetching Gloves somewhere, but looking for them would take away from knitting or blogging time, and we can’t have that, can we? So, I’ve been trying to keep my hands moving to stay warm. The Chic Hoodie is moving along quite well. I am working on sleeve #1 after completing the body and pocket linings. I’m hoping that I can get this done rather quickly…I can’t wait to wear it. But isn’t that the case with everything I make? 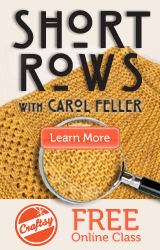 I almost want to make another pair of Fetchings – I know the feeling!